Dr. Sussman completed a Ph.D. in Social Work, from the University of Toronto in 2006 and a Post-Doctoral Fellowship at the Murray Alzheimer Research and Education Program at the University of Waterloo in 2007. Drawing on over ten years of experience working with adults and families managing health related issues in both hospital and community settings, Dr. Sussman’s program of research focuses on how health services and systems impact older adults and their family members. Her research projects include spousal carers’ experiences with home care; older adults’ and family members’ experiences with the transition into long-term care; barriers and facilitators to the delivery of effective interventions for depressed older adults and their care partners; and most recently the experiences of more marginalized populations of older adults such as older homeless adults and older adults identifying as gay, lesbian, bisexual and transgender (LGBT). 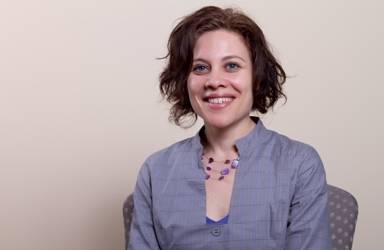 Dr. Sussman aims to conduct research that can be used to improve health policies, processes and practices by working closely with community partners in the development, interpretation and dissemination of her research findings. Dr. Sussman has also provided mentorship to health practitioners interested in producing research to inform their practice with older adults and families. In addition to her clinical and research interests, Dr. Sussman aims to infuse her role as an instructor with energy and enthusiasm. She hopes that her strong commitment to student learning and her passion for issues related to aging will inspire students to learn about and work with older adults and their families. In 2011, Dr. Sussman was was awarded the H. Noel Fieldhouse Award for Distinguished Teaching in recognition of her teaching excellence. 2015-2018 -Kaasalainen S.,(Co-PI), Sussman, T., (Co-PI), Hunter, P., (Co-PI); Thompson G,. (Co-PI); Venturato L. (Co-PI). Akhtar-Danesh N, Bourgeois-Guérin V, Chochinov H, dal Bello-Haas V, Duggleby W, Earl M, Goodridge D, Hadjistavropoulos T, Holtslander L, McCleary L, McClement S, O’Leary J, Papaioannou A, Parker D, Ploeg J, Sinclair S, Strachan P, Thorpe L, Touchette C, Trinidad G, You J, Young L .Partnering Together to Improve Palliative Care in Long Term Care. Co-funding from Canadian Institutes of Health Research, Partnerships in Health System Improvement; Alberta Innovates – Health Solutions; Manitoba Health Research Council; Ontario Ministry of Health and Long Term Care; Saskatchewan Health Research Foundation, for $740,000. Kaasalainen, S., Sussman, T., Durepos, P., McCleary, L., Ploeg, J., Thompson, G., & the SPA-LTC Team. (2017). What Are Staff Perceptions About Their Current Use of Emergency Departments for Long-Term Care Residents at End of Life? Clinical Nursing Research. 2017, 1-16. doi: 10.1177/1054773817749125. Sussman, T., Kaasalainen, S., Mintzberg, S., Sinclair, S., Young, L., Ploeg, J., Guérin-Bourgois, V., Thompson, G., Ventura, L., Earl, M., Strachan, P., You, J., Bonifas, R., & McKee, M. (2017). (Submitted July 18, 2016). Broadening end-of- life comfort to improve palliative care practices in LTC. Canadian Journal on Aging. 36(3),306-317. Grenier, A., Sussman, T., Barken, R., Bourgeois-Guerin, V., Rothwell, D. ‘Growing old’ in shelters and 'on the streets’: The Experiences of Older People who are Homeless. (Accepted Sept 3, 2016 ). Grenier, A., Barken, R., Sussman, T., & Rothwell, D. (2016). Literature Review of Homelessness and Aging: Suggestions for a Policy and Practice-Relevant Research Agenda. Canadian Journal on Aging. 35(1), 1-14. Cole M, McCusker J, Yaffe M, Strumpf E., Sewitch M., Sussman T., Ciampi A, Belzile E. (2015). Supported depression self-care may prevent major depression in community-dwelling older adults with chronic physical conditions and co-morbid depressive symptoms, International Psychogeriatrics. 27(6): 1049-1050. DOI: http://dx.doi.org/10.1017/S1041610215000204. Sussman, T., Bailey, S., Byford Richardson, K. & Granner, F. (2014).How field instructors judge student readiness for entry-level practice. Journal of Social Work Education 5(1), 84-100. Sahin, D., Yaffe, M., Sussman, T., & McCusker, J. (2014). A mixed studies literature review of family physician’s participation in research. Family Medicine Journal 46 (7), 503-514 . McCusker, J., Yaffe, M., Sussman, T., Kates, N., Mulvale, G., Jayabarathan, A.J., Law, S., & Haggerty, J (2013). Developing an evaluation framework for consumer-centered collaborative care of depression using input from stakeholders Canadian Journal of Psychiatry 58(3), 160-168. McCusker, J., Yaffe, M., Cole, M., Sussman, T., Strumpf, E., & Sewitch, M., (2013). A pilot study of a telephone supported self-care intervention for depression among older adults with a co-morbid chronic physical illness in primary care. Mental Health in Family Medicine 9(4), 257-273. Burns, V., Grenier, A., Lavoie, J.P., Rothwell, D., & Sussman, T., (2013). Les personnes âgées itinérantes. Invisibles et exclues. Une analyse the trois stratégies pour contrer l’itinérantes. (translation: Older homeless people. Invisible and excluded. An analysis of three strategies to address homelessness). Frontière 25(1), 31-56. Sussman, T., & Dupuis, S. (2012).Supporting a relative’s move into a long-term care home: The role of starting point in shaping family members’ transition experiences. Canadian Journal on Aging, 31(4), 395-410. Sussman, T., Yaffe, M., McCusker, J., Parry, D., Sewitch, M., VanBussel, L., Ferrer, I. (2011). Improving the management of late-life depression in primary care: Barriers and facilitators. Depression, Research & Treatment, Vol. 2011 (7 pgs). Brotman, S., Ferrer, I., Sussman, T., Ryan, B., Richard, B. (2015). Access and equity in the design and delivery of health and social care to LGBTQ seniors: A Canadian Perspective (p.p. 111-140). In N.A. Orel & C.A. Fruhauf (eds.) The Lives of lesbian, gay, bisexual and transgender older adults: Understanding challenges and resilience. American Psychological Association. Keefler, J., Bond, S., & Sussman, T. (2013). L’évaluation psychosociale (translation : Psychosocial assessment). Chapter 12 (p.p. 267-290). In E. Harper and H. Dorvil (Eds.) Le travail social: théories, méthodologies et pratiques (translation: Social Work: Theories, Methodologies and Practices). Les presses de l’Université du Québec à Montreal, Québec. Grenier,A., Weldrick, R., Sussman, T., Rothwell,D., Bourgeois-Guérin, V. (August, 2014).Systematic Literature Search: Homelessness among Older People. Prepared for SSHRC project no. 435-2012-1197. Gilbrea Centre for Studies on Aging, McMaster University. Sussman, T., Churchill., M., Brotman, S. Chamberland, L., Daley, A., Dumas, J., MacDonnell, J., MacIntosh, H., Ryan, B., Enriquez, M.C., Heffernan, D., Henriques, A., & Singh, S. (2013). Identifying barriers, developing solutions: Addressing the health and social needs of gay, lesbian, bisexual and transgender older adults who reside in long term care homes. An environmental scan. Canadian Institutes of Health Research Meetings, Planning and Dissemination Grant, Report (28 pgs). McCusker, J. (PI), Fleury, M.J., Jayabarathan, A., Law, S., Sussman, T., Yaffe, M., Blisker, D., Cox, A., Delorme, A., Karmazyne, J.E., Holmans, D., Kates, N., & Mulvale, G. (October, 2011). Incorporating consumer experiences into planning and evaluation of collaborative care of depression in Canada. Canadian Institutes of Health Research Meetings, Planning and Dissemination Grant, Final Workshop Report. Kaasalainen, S., & Sussman, T. (2017, Dec 28). Cette année fates un cadeau à vos proches. Les Blogues. Huffpost. Kaasalainen, S., & Sussman, T. (2017, Dec). Un moment propice pour parler de fin de vie. Opinions. Le Droit.